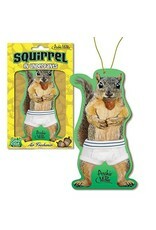 It might seem weird at first, but if you think about it, squirrels in underpants were inevitable. Those little streakers have been running naked through trees for too long! 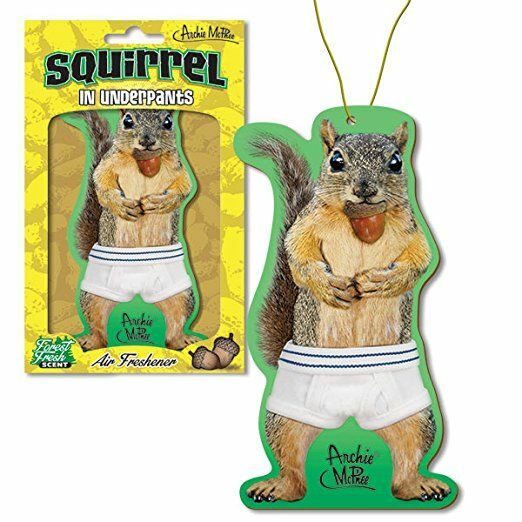 This 4-3/4" (12.1 cm) tall air freshener with forest fresh scent comes with a string for hanging and an illustration of a properly covered squirrel. Illustrated cardboard sleeve. For correct usage, hang this product so that it can swing freely.